The guided meditations for energy and balance on this CD and MP3 audio download, features the lovely voice, appealing personality and compelling technique of master meditation and yoga practitioner, Julie Lusk. The mind-body exercises on this program include guided imagery for relaxation and meditation for balance, energy, focus, clarity and calm, making it a perfect natural resource to help with general effectiveness, work stress or even personal issues. Guided imagery is a natural, holistic, mind-body technique of soothing, positive words, images and music, designed to deliver a cumulative impact and increased benefit with repeated listening. The net effect of listening to these brief but excellent, accessible and user-friendly audio segments is a kind of energized, engaged groundedness that can motivate focused and effective action - in other words, guided meditation for empowerment. There are also proven health benefits that come with guided imagery for relaxation and Julie’s audio program is no exception to this rule. 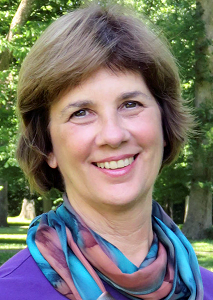 Julie Lusk, MEd, RYT, is an author, teacher, speaker, yoga instructor, wellness expert and certified counselor , whose most recent books include “Yoga Nidra for Complete Relaxation” and “Yoga Meditations”.